For countries such as Ukraine, decentralisation will bring economic and democratic benefits. Ukraine has a task to decentralise power and resources, as well as to build capacity and improve local governance skills, said Daniel Popescu, Head of the Democratic Governance Department at Council of Europe, during the presentation of results of the survey of Ukrainians on the decentralisation reform. “Decentralisation is a complicated reform, but at the same time, the Council of Europe believes that decentralisation is also one of the most successful reforms in Ukraine. You have made significant progress much faster than some other European countries in this process. Of course, there is still a lot of work ahead. Decentralisation is not an end in itself, it is intended to promote people’s access to the highest quality services and to promote the quality of people’s life,” noted the Head of the Democratic Governance Department at Council of Europe. Daniel Popescu stressed that he was satisfied with the results of the Ukrainian population survey on decentralisation. “We have seen that support of decentralisation by the population is strong enough (58% of respondents support decentralisation). We can conclude that Ukrainian society will positively perceive this reform in future,” he said. Volodymyr Paniotto, Director of the Kyiv International Institute of Sociology (KIIS), professor of sociology at the National University of Kyiv-Mohyla Academy, said that 58% of the Ukrainian population consider it necessary to implement the decentralisation reform. “The majority of the Ukrainian population considers the decentralisation reform to be necessary in Ukraine. In 2015-2016, the proportion of those, who consider the reform to be necessary, increased from 60% to 64%. And now it has slightly decreased, but not significantly – to 58%. Besides, during 2015-2016, the share of population pointing out the change for the better in their settlements increased from 19 to 46%,” emphasised Volodymyr Paniotto. 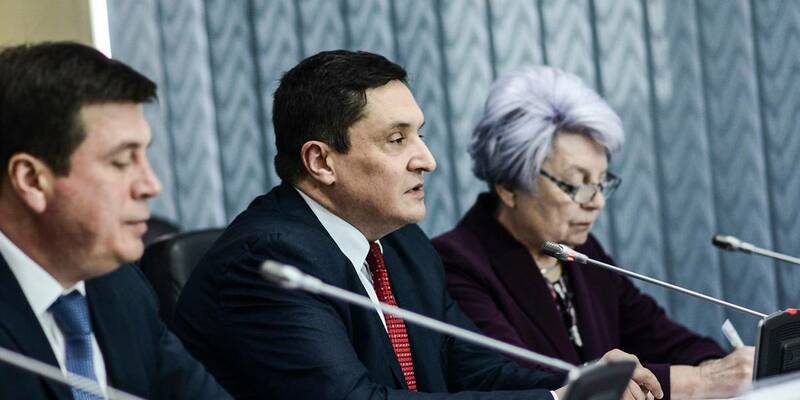 In turn, Hennadii Zubko, Vice Prime Minister – Minister of Regional Development, Construction, Housing and Communal Services of Ukraine, stressed that the survey showed an increase in people’s awareness and trust in the decentralisation reform. “A good indicator of decentralisation is that people experience improvement in the quality of services, including administrative ones. The number of people who felt better quality of this service increased by 40%,” said the Vice Prime Minister. It’s worth reminding that the survey was conducted by the Kyiv International Institute of Sociology and Social Indicators Centre, at the request of the Council of Europe Programme “Decentralisation and Territorial Consolidation in Ukraine” in cooperation and coordination with the Council of Europe experts, local self-government experts and MinRegion of Ukraine. All-Ukrainian survey was conducted in three waves (2015, 2016 and 2017) with over 2000 respondents interviewed in all oblasts of Ukraine and in Kyiv, except for the Crimea and temporarily occupied territories of the Donetsk and Luhansk Oblasts. Another survey of AH residents was carried out in two waves. In 2017, 2000 interviews were conducted with respondents living in 200 AHs, established in the course of 2015-2016.